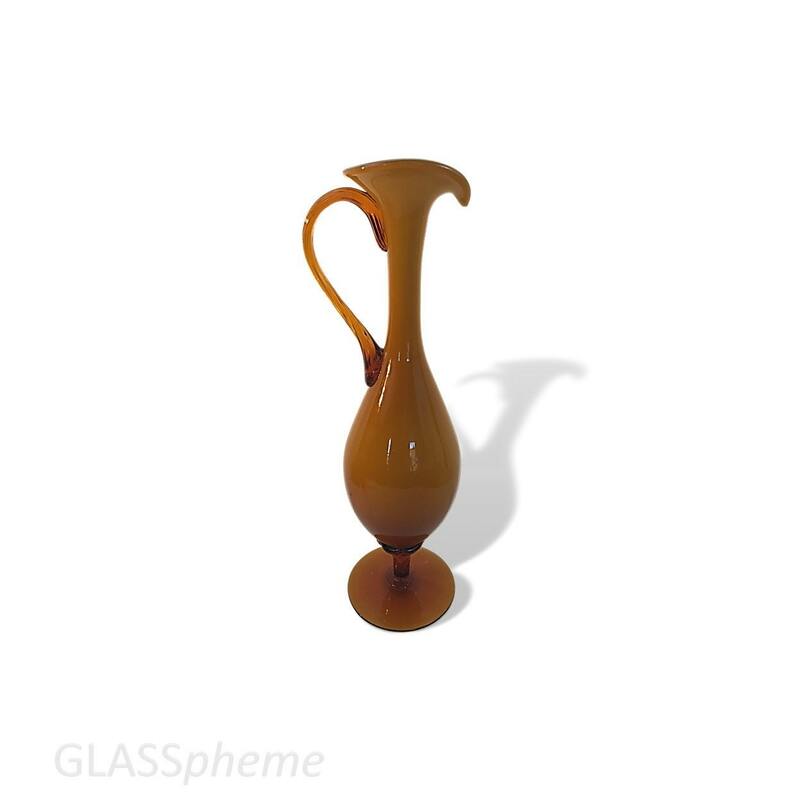 This beautiful mid-century Italy/Empoli masterpiece is a 18" tall footed cased glass pitcher/ewer/decanter with curvaceous applied glass handle mirroring the shape of its rounded body. 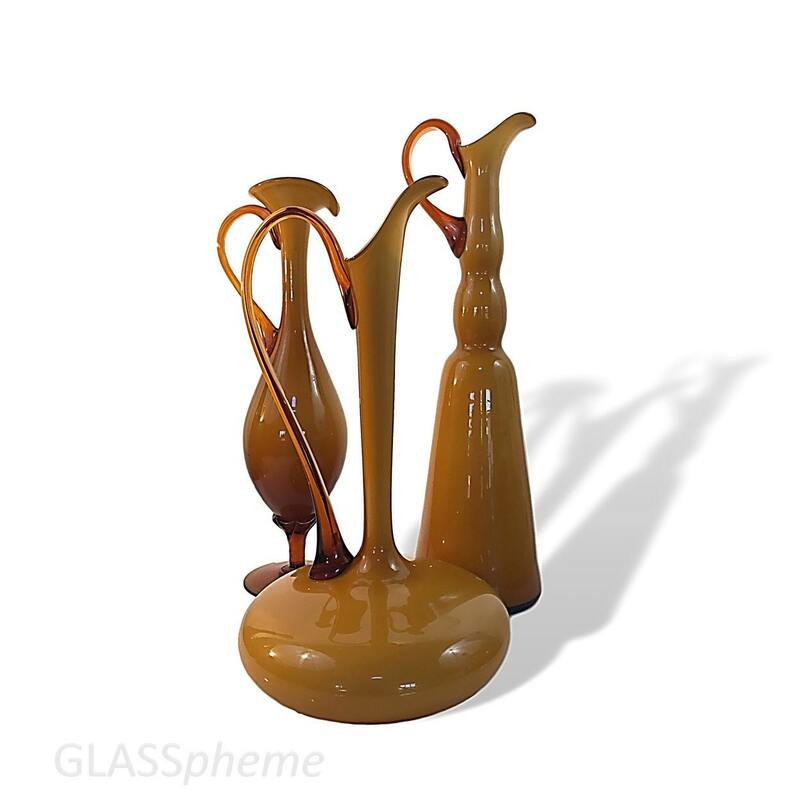 The deep dark delicious caramel color on the exterior of the glass and somewhat lighter shade on the interior matches the other pieces pictured in the emsemble shot perfectly. And all are available--for the moment, anyway.